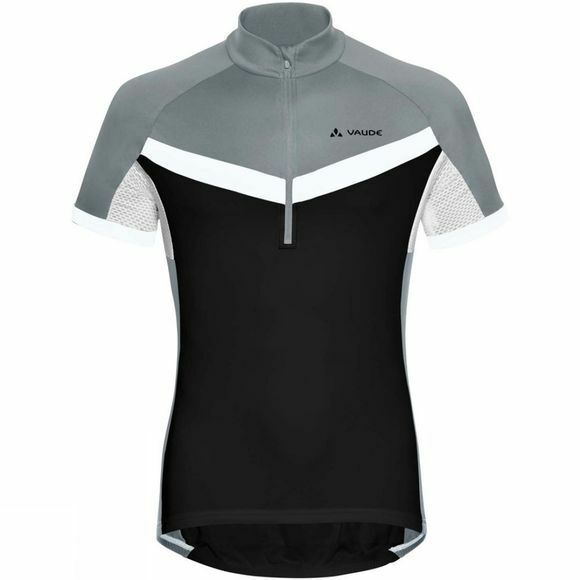 The Mens Advanced Tricot III Top from Vaude is a men's bike jersey with color-block features a short stand-up collar and zip. 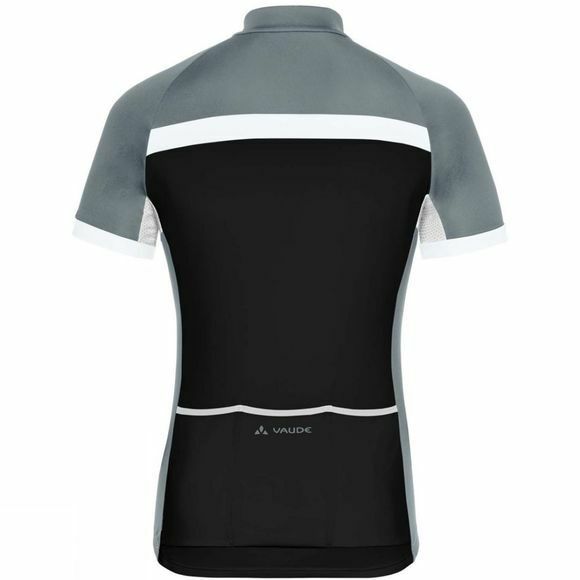 Thanks to lightweight and breathable performance materials and mesh inserts under the arm, it's superbly comfortablewhether you're the short distance or long distance type. A wind jacket, power bar, or your valuables fit in the three back pockets. The Vaude Green Shape label stands for environmentally friendly, functional products made from sustainable materials.